Bengt, SM7EQL will be active from Providenciales Island (IOTA NA-002), Turks and Caicos 30 November - 7 December 2014 as VP5/SM7EQL. He will operate on 20 - 10m CW. Providenciales Island: The most popular tourist spot! The total land mass of the island is 98 km2 (38 sq mi). 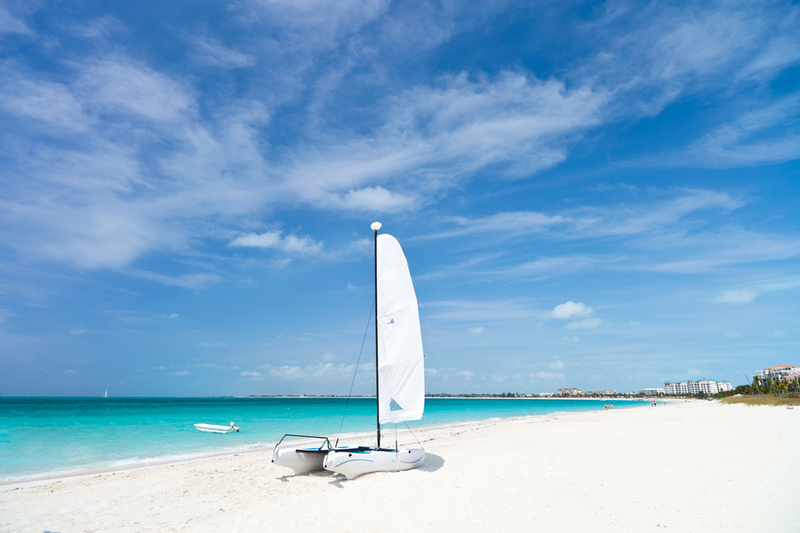 Among the Turks and Caicos Islands, Providenciales is the third largest. The population of the island is 23,769 according to the 2012 Census. It is the largest in population among the Turks and Caicos Islands. Tripadvisor ranked the island as the best beach destination in the world in 2011. The official language of the island is English. The national anthem is ‘God save the queen’ and the national song is ‘This land or ours’. It hosts about 27,000 tourists a month during the tourism seasons. Cricket is their national sport. The island was first discovered in 1512 when a European Ponce de León landed on the island. They were dependent on Jamaica until the island 1962. 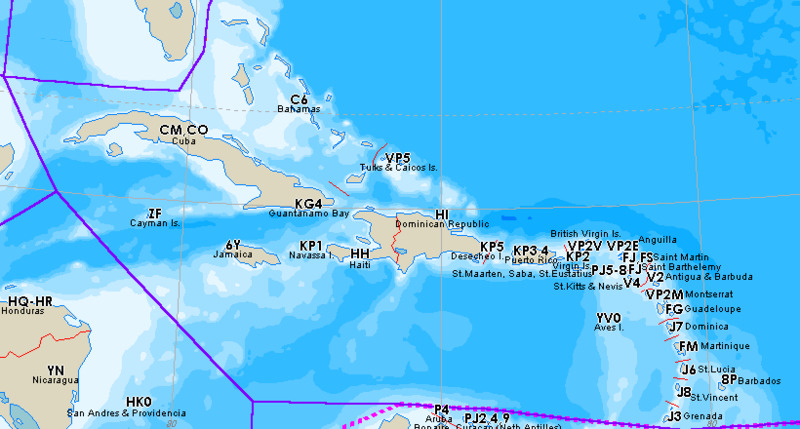 Providenciales was not at all developed. It did not have a single vehicle, no water supply system, no infrastructure and even no electricity in early 1964. The original developer was the company ‘Provident Ltd.’ which was having fights with Florida over a buying program for real estate business. The fight used to happen two times a week in a world war II DC3 plane. The only inn of the island was the Turtle Inn built for the company’s convenience in 1967. Later, Club Med, another company invested heavily on the Grace Bay Beach, and made the island’s first hotel and casino project which started operating in 1984, and since then the island has experienced a boom period. Many resorts and hotels have opened on the island like ‘Ocean Club’, ‘The Turquoise Reef’, ‘Beaches’ and the ‘Grace Bay Club’. The economy of the island is tourist oriented. 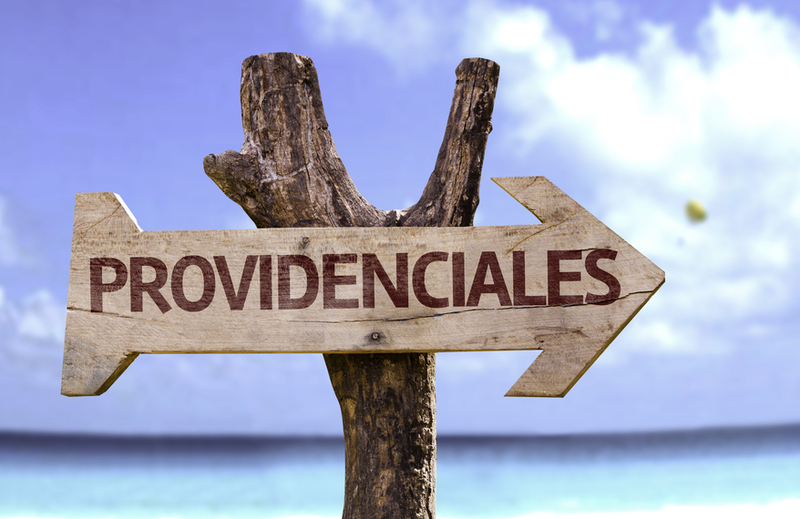 Providenciales is the most developed and the most tourists oriented of all the Turks and Caicos Islands. The island has also become a famous settling spot for the retired. Many luxury condos are now being made along the shores of Provo. Since Providenciales is one of the Turks and Caicos Islands, and the islands are not an independent state but they are a part of the British overseas territory and cannot confer citizenship. They are all considered to be British overseas territory citizens (BOTC) and all of them hold this same nationality. It is not compulsory for the British overseas territory citizens to live in British overseas territory islands, but to put it simply they have a ‘belonger’s Status’ and the island descendents and natives are called the belongers. In the year 2002, the British overseas territory Act had given the status of full British citizenship to all the British overseas territory citizens including the island Providenciales. The inhabitants on the island are around 23,769, usually made up of the resort personnel and staff. It makes up of about 20% of the total population of the less populated Turks and Caicos Islands. It is the most populated too, among the Turks and Caicos Islands. There were only three small centres of population on the Providenciales island and those were the Blue Hills (on Grace Bay), Five Cays and the Bight (also on the Grace Bay), before it became a popular tourist spot. But now the original three settlements have expanded manifolds and new and larger communities were built at Long Bay, Chalk Sound and Leeward. Many houses are being built in East and South of Providenciales. Among the high scale residence there also many shafts and huts there in the more remote areas of the island as well. The total land mass of the island is 98 km2 (38 sq mi). The west of the Providenciales is not inhabited and is full of barren flora, but this wilderness has now become a main tourist attraction and is known as the Chalk Sound National Park. It is southwest of downtown and the park is almost 3 miles long. There are many small islets surrounding the island which can easily be reached by boat or even by swimming. On the west of the island is the Northwest Point Marine National Park, that stretches to the reefs and lakes. There is no animal shelter on the island so all the cats and dogs roam freely around the island like any other animal. There is also an airport that caters to all the airway traffic namely Providenciales International Airport. There are no municipals on the island, but it does follow the British overseas territory laws. There is a downtown are. There are no parishes or districts on the island. The residential area is also called a ‘Kew’. As the Providenciales island is part of the Turks and Caicos Islands. So the climate is sunny and dry, and can be categorised as ‘marine tropical climate’. Providenciales has a consistent temperature throughout the year. In summer the average temperature is 33 °C (91 °F) in winter the average temperature is about 18 °C (64 °F). The islands are known for its ripsaw music. The islands annually hold and celebrate music and cultural festivals in which many local talents and famous artists from the US and Caribbean performs. Traditional craft of making baskets and hats out of straws is also practised by the native women of the islands. The islands most played and loved sports are football (soccer), fishing, sailing and cricket. The food and cuisine is mostly revolves around seafood, usually ‘conch’. The two main local dishes are conch fritters and conch salad. The official language is English but the locals also speak Creole. Spanish is also spoken due to the immigrants (legal and illegal) from Dominica and Cuba living on the islands. Protestantism is the main religion being followed on the islands. Who wouldn’t want to spend their vacations on an island full of natural beauty and mystique? The island’s natural charm lies in the cerulean blue waters and the untamed wilderness, rugged hills and sandy beaches. The humpback whales route of migration crosses the island and can be seen by many of the diver or sightseers from a far. But none the less, the main source of attraction is the scuba diving. Swimming in crystal blue waters, while being surrounded by miles and miles of beautiful coral reef would be bliss to anyone. The highest point is the Blue Mountain which reaches 135 feet above the sea level. Besides tourism, fishing is a major contributor to the island’s economy. There is a commercial port at South Dock; to the west is the Providenciales International Airport, which is the main point of entry for the Turks and Caicos Islands. 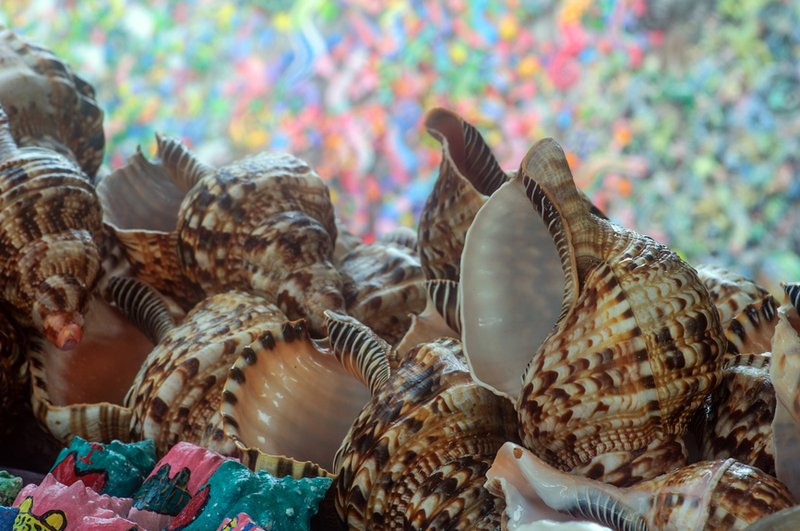 Providenciales is home to the only ‘conch farm’ in the world. It is the path of migration of the humpback whale. It passes by every year from January to April. Territory wise, it is a part of the Bahamas, but it is politically a separate entity.